HTC’s flagship One M9 smartphone will be available in the U.S. from Friday, with an unlocked version selling for US$649. The smartphone, which was launched to good reviews at the Mobile World Congress earlier this month, will initially be sold through the company’s website. The handset will then be made available through all major U.S. carriers—AT&T, Sprint, T-Mobile and Verizon—on April 10. The prices for the smartphone sold through the carriers were not provided by HTC, and will be revealed at a later date. The configurations of the phone may also vary depending on the carrier. Samsung will also start shipping its Galaxy S6 smartphone—which was also unveiled at MWC—very soon. HTC was the world’s 14th largest smartphone vendor in 2014, according to IDC. Further reading: HTC One M9 vs. Samsung Galaxy S6: Which phone will you want? 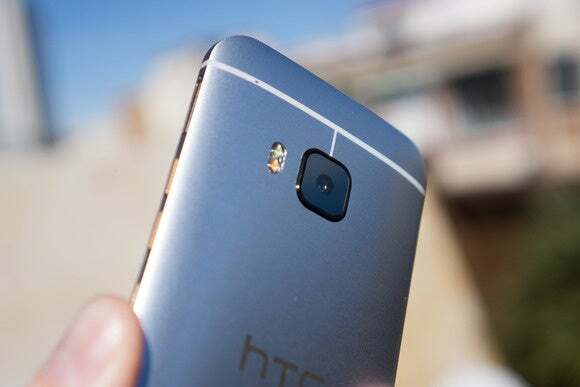 The 5-inch HTC One M9 smartphone has been praised for its looks, despite being virtually identical to its predecessor, the One M8. However, some design changes have been noted in reviews, including the moving of the start button from the left to the right side of the phone. The smartphone, which weighs 157 grams, will come with Google’s Android 5.0.2 OS. HTC claims the smartphone provides 21.7 hours for 3G talk time and around 400 hours for standby time on one battery charge. The LTE smartphone has a 64-bit Qualcomm eight-core Snapdragon 810 processor, which is considered among the most advanced mobile processors for smartphones. The chip has a graphics processor capable of rendering 4K video. The handset includes a 20-megapixel rear camera, and a front “UltraPixel” camera, which HTC claims has faster shutter speed and captures more light for more vivid pictures. Other features include up to 32GB of storage, 3GB of RAM, 802.11ac Wi-Fi, NFC, Bluetooth 4.1, and micro-HDMI and micro-USB 2.0 ports. A micro-SD slot can support up to 2TB of expandable storage.